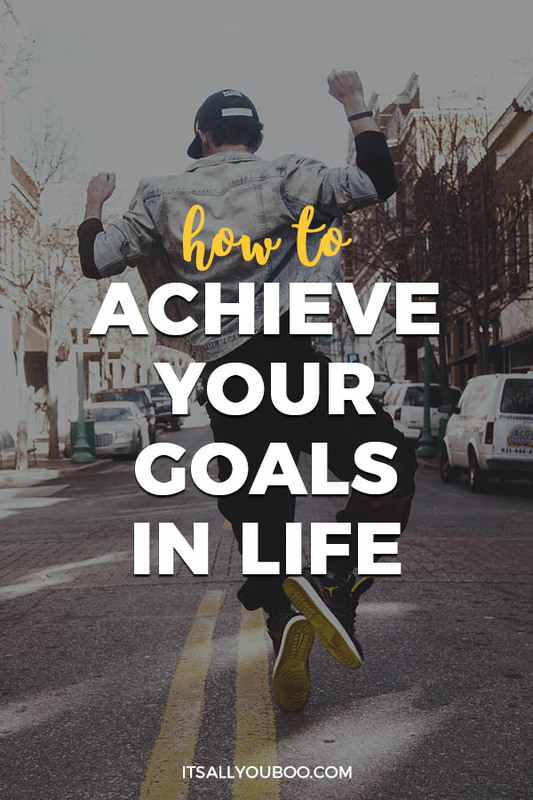 What are the steps to achieve goals in life? Whether you’re going at this alone or a large organization, goals are essentially a cornerstone of your business. However, I believe most people are setting goals for the wrong reasons. That or the people below them are so disengaged from it. In large corporations, a lot of people don’t seem to enjoy their jobs. Although the list of reasons for job dissatisfaction is lengthy, I’d like to focus on one in particular: The disconnection between the vision of the corporation and it’s employees. Sometimes the reason could simply be the politics or you wanting to scream at your annoying and tyrannical manager. But I can imagine deep down some people question how they fit into this machine? Even for solo businesses, you can feel that way when you don’t set goals properly when you lack a vision. I know for myself I’ve felt that way before. Not long ago, I was highly unmotivated and overall lazy. I talk a little about it here. For nearly a year I was setting meaningless goals that didn’t amount to much of anything. When I achieved them I felt unsatisfied and empty. When I didn’t, I didn’t really care all that much. It sucked. But I’m glad I had that experience because that experience taught me how to set goals properly. It built me up so I could stop procrastinating, and in the end, it was all worth it! I went from some guy with a blog to calling myself a writer, an entrepreneur and started slowly building my confidence. Firstly, how to achieve your goals. Secondly, why it’s so important to do that. And thirdly, how we can trick our brains that our goals are amazing and worth doing. When you learn how to achieve your goals, or at least when I realized it, I discovered something. The big discovery was this: It’s not about the goal, but the journey. These days, my goals are strict and don’t provide many variations. Even though I go about goal setting completely differently now, this technique (along with another I’ve explained below) is honestly used to reprogram your brain. Many people feel utterly disengaged with goals they don’t bother pursuing it. Again we run into the same problem when employees and disconnected company visions. Instead, what this way of thinking is doing is shifting away from the overall end result of a company. Instead, when you focus on a journey, you are more invested in the process, rather than the end result. One of the goals that I announced is that I want to read a book every week this year. It’s a massive endeavor. Although I do have a reason for setting that goal, I’m more interested in the journey. I’m looking forward to what book I’ll pick up next and what I’ll learn. The thing is I’m more excited about reading the books I’ve picked up as opposed to focused on the satisfaction of reading 52 books in a year. The process is more intriguing to me because I convinced myself it is. That’s also why I don’t give up when I fail to hit that goal. Sometimes I pick up a book that is nearly 400 pages long and takes me a week and a bit to digest. I don’t give up on the dream, instead, I focus on the habit of routinely reading. Because that is honestly what I’m focusing on here. The satisfaction from the reading 52 books is a bonus. So enjoy the process. It doesn’t hurt you and can make a difference. If you want to learn about achieving your dreams and goals, you need to have purpose too. I’ll explain a technique for this below, but for now, know that purpose is also an element to keep in mind. One thing that I’ve told people at times with goals is you need to sell yourself on those goals. If you push it off, it means you’re not persuasive enough. Furthermore, you are letting your excuses get the better of you. Again I have a tactic to make this easier, but when you have a purpose to do something, you use it as a strong selling point. When you lack purpose, you lack the ambition to do something. I remind you, I spent a year setting goals only to realize that I didn’t care for them. But once I made the shift, the goals became easier to persuade myself to do. I’m writing this out for you to stress to you to not give up. Yes, the techniques that I’ll talk about in this post will help significantly on how to achieve your goals, but it’s a work in progress. Again, enjoy the journey and have fun setting those goals until you find the goals that you really value and encourage you to develop a habit that’ll help you. Any person can set any kind of goal they want. But what separates the mediocre and the great is the methods behind their goal setting. I don’t know how Richard Branson or Oprah Winfrey set their goals, or if they set goals at all, but this framework I believe can help immensely for those on the bottom level. Richard Branson and Oprah probably don’t need it as they already have an agenda of things they want to complete. They’ve already learned what goal setting can teach us. So they don’t need something as formal as what I’m about to explain. But for us who are still rather small to the scene, need this for a variety of reasons. For one it drives home the meaning of purpose and also to enjoy the journey. So many people lack that and lack the patience to enjoy the process of growing. These steps will drive that home, but also to give you goals and a direction to move in. First I want to cover purpose. As I said above, we need a selling point to persuade us and encourage us. The best way to do that is to ask a simple question: Why? It sounds simple, but it’s harder than you think. During that almost year of setting goals improperly, I spent a few months explaining my rationale, my why, for setting that goal. In the end, it met a predictable result, I didn’t complete it. Firstly I opened myself to guest posting and posting regularly on other sites outside of my own. I started to tailor my workflow to something that made more sense. I spent a lot of time hashing out the thoughts of what I wanted to do and where I wanted to go. So this technique can vary from experience. When used improperly it’s a waste of time. When used correctly it can provide a laser-precise focus that can recover and thrive your business. It’s, for this reason, I praise this method, and also why others praise it as well. What compels you to do what you are doing right now? What type of person do you want to be remembered as? Asking those deep personal questions can be led up to finding a why. All in all a why is something deeply personal, so you can lead into why by asking many other deep personal questions. Perhaps your big struggle with how to achieve your goals is that they’re too big. It’s a common problem many people face despite the SMART acronym being drilled into our heads in school. As much as I admire overwhelming optimism and confidence, a lot of times it’s not realistic (the R in the SMART goals). Say you’ve found your why and that is to live a millionaire lifestyle. The first goal you set is to make $50,000 a year. That’s a good goal, however, the reality (and for the sake of the example) is that you are only making $25,000 at your full-time day job. In other words, you need to find something that’ll help you make the other $25,000 within a year. For many people that occurrence can literally make the person’s brain shut down and give up. That’s your brain telling you to give up and in the end, you’ll create an excuse to justify not pursuing that goal. But this is also where the next step is in how to achieve your goals. That step is called chunking: a technique where you break a larger goal into a series of smaller goals. It’s an effective technique that isn’t commonly practiced. Instead, many people go the route of high optimism (like network marketers) and encourage us to dream of big houses, and large sums of cash. That isn’t how to achieve your goals as I’ve mentioned above, massive shifts are things that your brain is scared of. By all means, it’s possible to live that lifestyle, I won’t deny that. But the reality is that it can take years or one hell of a massive mindset shift to achieve that. The odds of that happening are slim. Instead, it’s smarter to go the route of least resistance with how to achieve your goals. So go with chunking. What chunking does for your goals is make the process easier for you. It also makes your brain calm down. Making bold statements is alright, but when we make bold statements our brain and ourselves will resist naturally. Once you understand this, you can manipulate your brain and persuade yourself to do anything. First, you can go into more specific detail about how you’ll make that money. Perhaps sell t-shirts through TeeSpring. If you’ve already figured out how you’ll make the extra cash, break things down into small portions. Perhaps set a goal to sell 10 t-shirts a week. If that’s not compelling enough, perhaps you need a secondary goal. Perhaps invest in marketing books, or set up a Facebook page advertising your t-shirts to pair it up with the Twitter or Instagram account you have. There are many ways of chunking, but once you do that, you allow your brain to play a different tune. It’ll start letting you try with no resistance at all. Another alternative is setting smaller goals, that can help build up your belief and confidence. Chunking does the same thing, but there is nothing wrong with looking for options. Thinking small, with smaller goals is the secret to big success. Now it’s time to actually take action. It’s how to achieve your goals. The first two steps at the beginning shouldn’t take a lot of time. I’m a man of “plan a little, move a lot.” The most time-consuming part is I’d say figuring out where you want to go in life. That’s not something simple. But this is also the step to make adjustments as need be. After all, a plan can sound and look great on paper, but terrible in the application. Furthermore, you can and probably will run into problems once you get the ball rolling. So don’t be afraid to fall back to the other steps. I never said the tools to how to achieve your goals would be laughably easy in application. What can I do to ensure I follow through with my goals? Can I break things down into smaller pieces? What exactly isn’t working and how can I fix it? That’s not there when you lack a vision. You tend to ask “what’s the point?” In those instances. Making commitments ensures that you care about yourself and the goals that are pushing you forward. Honestly, you’ll be bouncing back and forth between the first three steps if something isn’t working. It can be exhausting, but when you make a commitment, this process, this journey, becomes fulfilling. This is the reason why you feel compelled and excited to continue repeating the process as this step serves as a check. Remember, when you fail or make a mistake it’s not an excuse to give up. It’s proof that you are learning and growing. So don’t be afraid to make mistakes. I love it when I am proven wrong as I get the opportunity to learn something new. Whether it was a small step towards your goal or the accomplishment of it, you want to be taking the time to celebrate your small victories. Amazing and purposeful goals are achieved by thinking that the small steps are indeed amazing. The other steps prior to ensure that your goal is purposeful, at least to you. It’s something that lifts you up and gives yourself value and you think it can give value to others. As such, it’s a victory when you make a small advancement. You don’t need to go all out and buy stuff to celebrate. But a small pat on the back or a “Yes, I did it” can make it all the more satisfying. Be willing to celebrate the small victories by giving yourself a burst of emotions or start working on the next target goal. 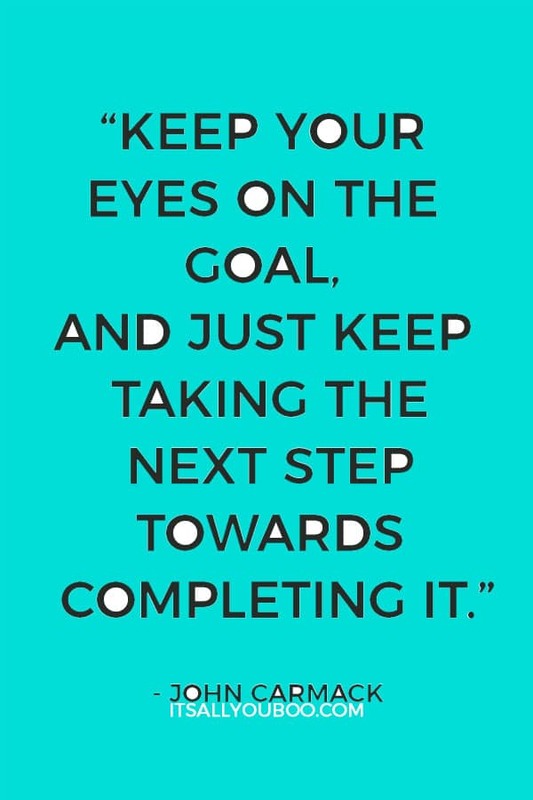 A lot of times satisfaction stems from us focusing on the next part of the goal. Like I said before, the process is more enjoyable, but the ending is satisfying too. So celebrate it. Now that you understand the steps, you are better able to follow through with goals. 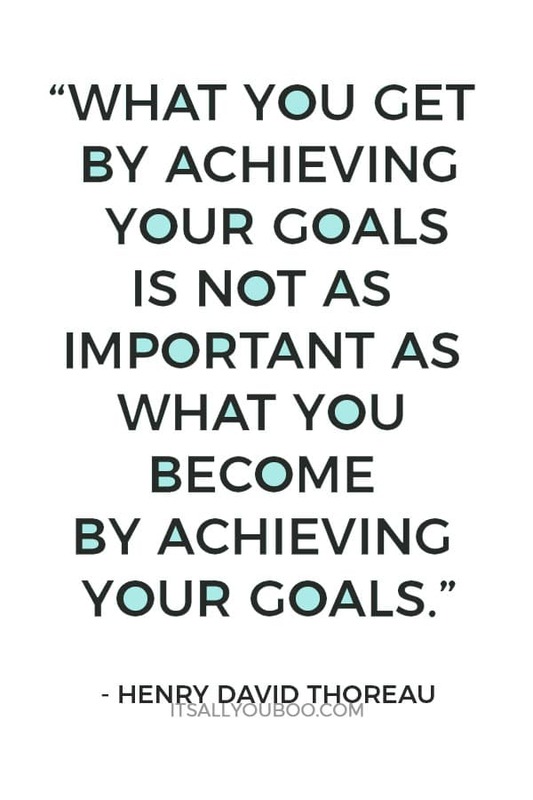 But you are also better now at goal setting that gives you meaning and have a system that when used properly can ensure you meet success after success. Yes, you will still make mistakes, but again it’s all part of the process. When you set goals you are learning about yourself and transforming yourself into the person you want to be. That’s significant. And it all stems from a willingness to follow through with goals that give your life and your work meaning. 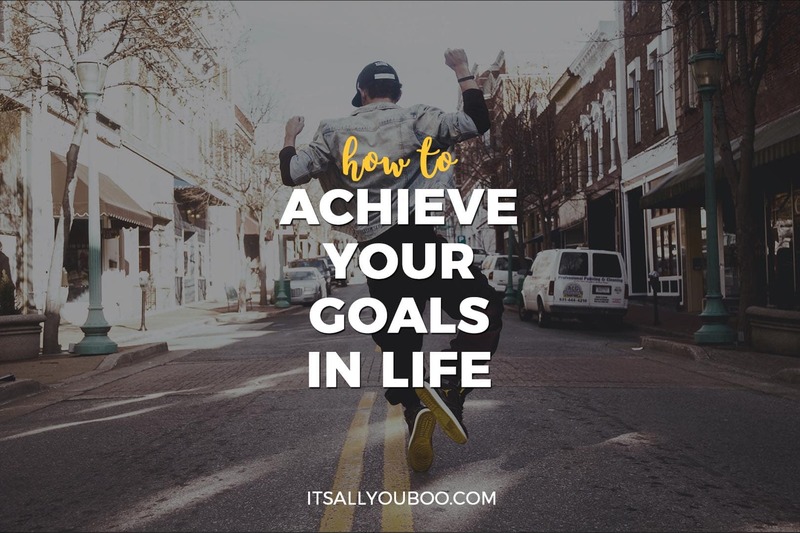 How do you achieve your goals in life? 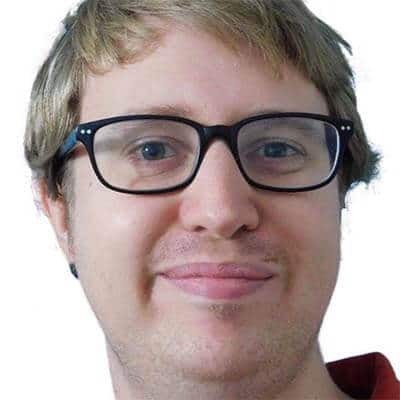 Eric S Burdon is a Self-Improvement Youtuber and Blogger focusing on building confidence and being positive. You can view more of Eric’s work at Eric Scott Burdon and his Youtube channel. Hey Karolina, I’d be happy to help out and I’m glad you enjoyed the post! I shared a little about my story through this post of me struggling with goals, but there is more to it than that. I can definitely relate to feeling overwhelmed with the number of tasks that one needs to do and I find the best possible way is to expand on that chunking step I mentioned. I’ve started recently applying it and I feel more focused and at ease than before. The idea behind this expanded chunking is to focus on one goal at a time. For a lot of us, much like to-do lists, we cram a bunch of goals and tasks that would be nice to do. But again we run into that sense of overwhelm or getting hooked to knocking things off the list that we lose sight of what we’re trying to do. Instead, devote specific days or even several months to one particular goal until you are satisfied with it. Yes, other things will suffer, but if there is one thing that I’ve learned is that by focusing intensely on one thing really well, you’ll get it done faster since you won’t be competing with your other goals. No problem Karolina! Happy to help! You are so welcome Eric!! It’s a pleasure as always. Please, feel free to come back anytime. Everyone always loves your posts. Great inspo,right on time!! Setting goals around a reason is the most realistic and sustainable way to go! Another thing that helps me a lot and might work for other people as well, is envision myself reaching the goal. You may say it’s a form of daydreaming but once you actually feel how amazing it will be to reach the goal, you are most likely to stick to it right? I’m not so great at goal setting because I treat them like New Year’s resolutions and we all know what happens to those! I’ve noticed lately that I’m not as productive because I don’t focus on one thing at a time, especially when it comes to my blog. Your post leads me to believe that if I set a goal for every day, I might be way less scattered! Daily goals definitely help a lot. I actually happened to find an app that I’m using that works pretty well. They have some generic goals that you can set up, but you can also put your own in manually and follow that. It’s called Remente. Outside of daily goals, one thing I’d advise Kristi is to set some weekly and yearly goals as well. You want to make sure your goals are all working towards something that you want to achieve. Nadalie, of course, has plenty of articles that can help with this too. Love this! Most people don’t take action towards their “goals”, making them actually just wishes. Most people just wait til the blessings come but that’s not how it works. We need to be focus and aim for our goal by ourselves. Exactly! Taking action is always a must! It depends on the book honestly. What I found was easier was using that chunking step. Reading one book sounds like a lot, however reading 30-40 pages per day sounds a lot easier to pull off. As always your posts never disappoint! I would be interested in working with you in the future with regards to goal setting. This is by far the most effective method for goal success. What a motivating post! I can realte to it absolutely. achieveing your goals takes a lot other than just imagining. Thank you very much Shilpa! I love writing about goals as there is a lot to it to discuss. Such great advice and so motivating. Great reminders that we all need a vision and need to commit to it no matter what. Remembering our why is also important to achieving our goals. I have a lot of goals this year, so I am bookmarking this post. I especially like step 2 about chunking. I’m going to put that into practice today. Sounds like I need the guide! I have so many ideas and ambitions, I just have a really hard time executing them all. It’s good to have a lot of ambitions and ideas Taylor and a lot can be done when you devote time to focusing on a single goal before adding more into it. Even with a concrete plan, our goals can compete with one another. What I find can be helpful is to have one big goal and a series of small goals or goals that’ll require little work, but over a long period of time. There’s all sorts of ways and it’s a matter of finding what works best for you. Good luck! Finding the right balance between doing the things you need to do vs the things you want to do can be tricky, but it’s essential to achieving your goals. Indeed it is Fatima. That’s why I have put together a bit of a planner for myself. Awesome tips for achieving your goals! 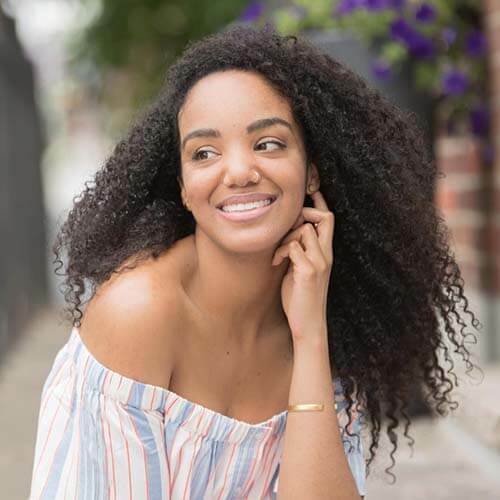 I tend to easily stray away from the goals I set in the first place, so having these strategies in place is very important for me. Goals are always ready in our minds but we just couldn’t focus or concentrate, i am bookmarking this , loved reading this. I am glad to hear that you enjoyed it, Sonali! 😃 I think it depends on the person. A lot of people coast through life with no real direction. Goals really help immensely in self-discovery as well. Fantastic read, this should be put out mainstream from all the new graduates headed out into the world. 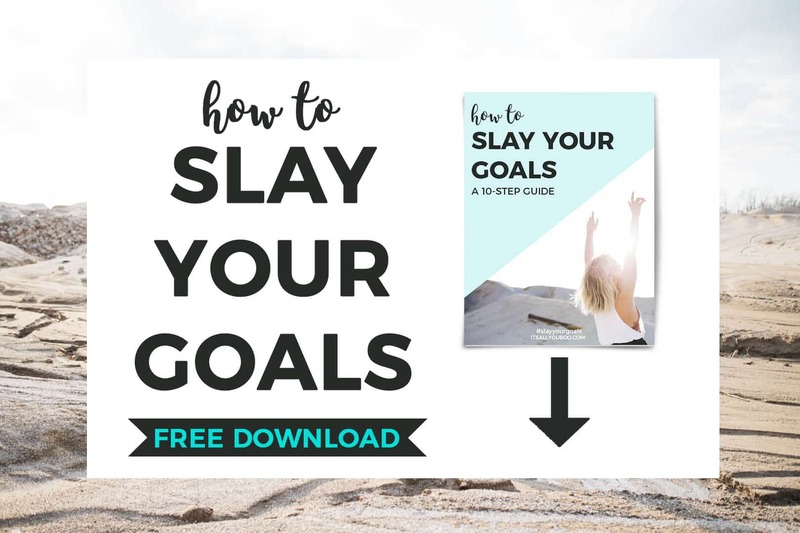 Goals are so important and the chunking method is exactly have I got my blog to be profitable within one year. Good advice and great read!!! Thank you very much, Jen! Wow, that is incredible as well that you got your blog profitable in a year. Congrats on that! I agree that spending time thinking about goals is necessary, even at an early age, I think. For myself, I wish I knew the stuff I knew when I was still in my late teens. It would’ve helped a lot. Either way, the next best time to learn about goals and devote time to it is right now. I love what you said. Celebrating those small victories is extremely important. At least for me, it is important because it gives me encouragement to keep on going. Little steps are really bigger steps to a greater future. Great article! Thank you, Fritz! The small victories are definitely important. Some of my favourite quotes talk about the fact that it’s the small actions that we do every day that build up into the massive movement we want them to be. Making a big deal about the small steps is crucial. I really have to learn to tackle things in stages and I am becoming better at it . I am the kind of girl that wants it all now. Which I know is not possible so I love the idea of chunking my goals into smaller portions. I celebrate my achievements no matter how small because I know that tiny steps always help in the long run. I like to adjust and rearrange what I want to achieve because sometimes what we want is just not possible in the time frame we have imagined. I find the biggest thing with deadlines is to be open with them. Definitely set them, but don’t get yourself into the mindset that it has to get done by that date. For example, I set goals every week and sometimes I like to give myself a bit of a challenge and give myself a bit of a larger goal. During the week I strive to complete it as usual but I don’t add that extra pressure. I work to see how much I get done and leave it at that. It’d be awesome if I can get it done but it’s not mandatory (despite it being a goal). I’d suggest trying that out and seeing where that takes you. Either way, I completely get the feeling of wanting to get far and everything all done in a short time, but patience is needed for a variety of reasons. It teaches us to be humble and to enjoy the process. After all the journey is just as fulfilling, if not more fulfilling than the destination itself. Purpose – BOOM! This is what I try and ask people! WHY are you doing what you’re doing and what is your end goal? If you don’t have a goal then how can you achieve what you can’t work towards? This is a great article to help people break it down! I try to mull over these every 6 months or so and reevaluate! Thank you very much Crystal! I am glad that you enjoyed it. I’ve been doing that as well, at least with my larger ones as so much can change in but a few months. It’s important to check and recheck and remind yourself why you are doing it. Thanks for the reminder and for reading! All of these are great points! You have to believe you can reach your goals before even reaching them. I’ve never heard of chunking before but that’s such a great strategy! Great to hear. Try chunking out when you get the chance and let us know how it goes! I have to say I am great at Chunking! I always have been. I am now learning to celebrate the small victories. I have never been a celebrator. I have always thought well I accomplished this and now it is time to move to the other. Celebrating wasn’t always in that scenario.! I am learning! I feel you on that one. Even I have a hard time to do that. I celebrate by doing more work and pushing myself towards another goal. I can relate to all of this. One thing that I found that was helpful is do something that breaks the mold for you. For example, pretty much once every week I write in a cafe. I still do work, however the cafe atmosphere is a treat for me (not to mention I normally buy tea and a small treat). Good luck! I think the hardest thing for me this year is figuring out exactly what I want to accomplish. I’m at a cross road, and I’m not quite sure what my next step is! 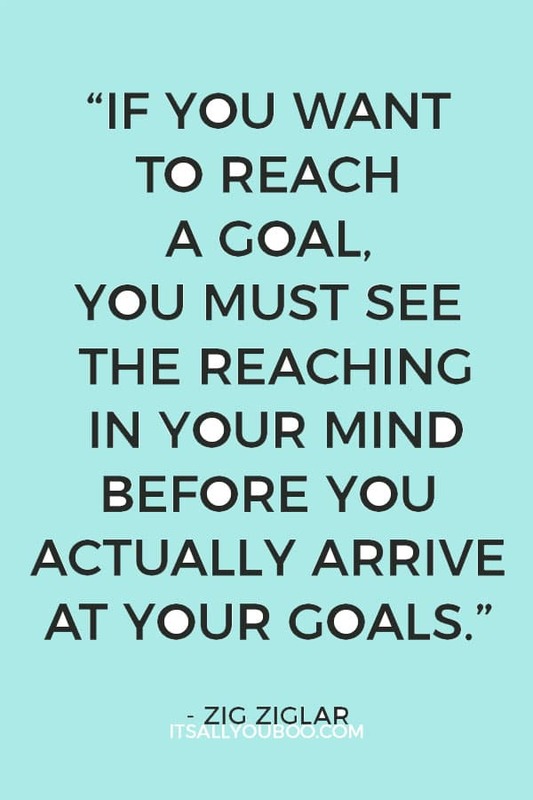 You have definitely thought goal setting through and offer great tips. That’s really the toughest part in goal setting honestly. There’s a lot of goals that we have or I should say desires that we want fulfilled. We need to learn to focus on a few and neglect the others in order to achieve some of them. That being said, you can always go back to those other goals and desires later on down the road. What’s important is the path ahead of you that’ll lead you to where you want to go and why you want to be there. I love the concept of celebrating the small victories. My goals tend to be very long-term and it can feel overwhelming to reach them, and I quickly feel I’m not succeeding in reaching them. If I break it down into smaller victories, I believe I will continue to feel the motivation I need. Thanks so much for the very helpful tip! Glad that it could help you out Ronnie! Good luck with the long-term goals! These are such great tips! I think it is so important to have a purpose to begin with! Absolutely Dawn! Thank you for reading! I have been working on setting clear and measurable goals. I also just want to focus on one thing at a time so I don’t feel overwhelmed. So far so good! We will see how long I can stay focused though. That is a really good approach to go for when achieving larger goals. Good luck with this!